In recent industry reports, China led all countries with nearly $1.2 billion USD in hemp sales in 2018, followed by the United States ($1.0 billion), Europe ($980 million) and South and Central America ($220 million). 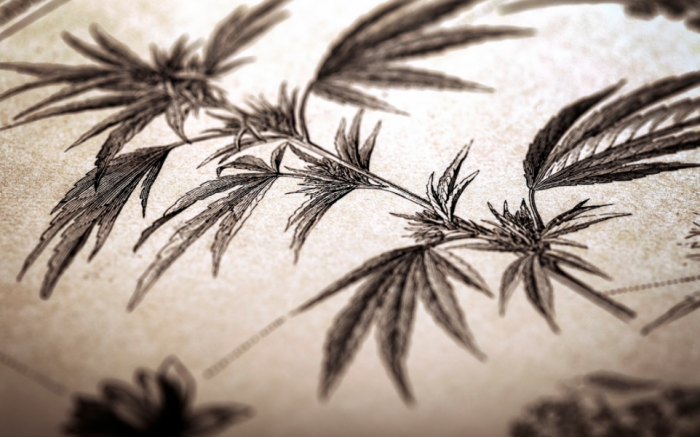 A recent report from an independent, technology-driven analytics company specializing in the cannabis industry stated that: "… the global hemp industry reached $3.7 billion USD in retail sales in 2018, with an annual growth rate of 15% driven by continued strength in Chinese textiles, European industrials, Canadian foods, and the U.S.
Chinese cannabis-related stocks have been getting way too high this year for Beijing’s taste, prompting a crackdown to control the investor mania. Marijuana growth and consumption is illegal in China, but cultivation of hemp is allowed in the southern province of Yunnan and in the northern province of Heilongjiang, which legalised the trade in 2010 and 2017 respectively. Chinese companies linked to cannabis growing tumbled Thursday, as regulators put the squeeze on one of the year’s hottest trades. Shanghai Shunho New Materials Technology Co. and Jilin Zixin Pharmaceutical Industrial Co. both slid more than 6 per cent after the Shenzhen Stock Exchange told them to warn investors about uncertainties facing their industrial cannabis projects. In written notices, the exchange also asked the companies to submit progress reports on those businesses before April 2. Neither company immediately responded to Bloomberg’s requests for comment. China is more than 5,000 years old with a legendary history of herbal pharmacology. It should be no surprise that Chinese medical marijuana is thriving. The history of marijuana goes back nearly 5,000 years, and through most of its history, weed was considered beneficial for both your physical and your mental health. That all changed around the beginning of the 20th century with a concentrated campaign of prohibition and criminalization, writes Deb Powers. China farms a massive amount of hemp and currently holds more than half of the globe’s cannabis patents. As Canada prepares for the legalization of cannabis this fall, its poised to become an international leader in the booming industry. But one unlikely competitor may stand in its way: China. Nowadays, all eyes in the cannabis industry are trained on Canada, which is poised to become a major game-changer once recreational cannabis becomes legal on October 17. But as exciting as that is, we shouldn't overlook the silent giant in the cannabis industry: China, which by some estimates produces 50 per cent of the world's cannabis. Canada's legalization of cannabis this year wasn’t met with red envelope-like celebration by Chinese government officials. The Chinese government has long blamed the maple-blanketed country for its handling of tons of illegal cannabis imports. Those officials have a right to be somewhat perturbed, as roughly 20% of Canada’s total marijuana production ($1.2 billion worth) was sold illegally beyond the country's borders last year, a good portion believed to be China-bound.